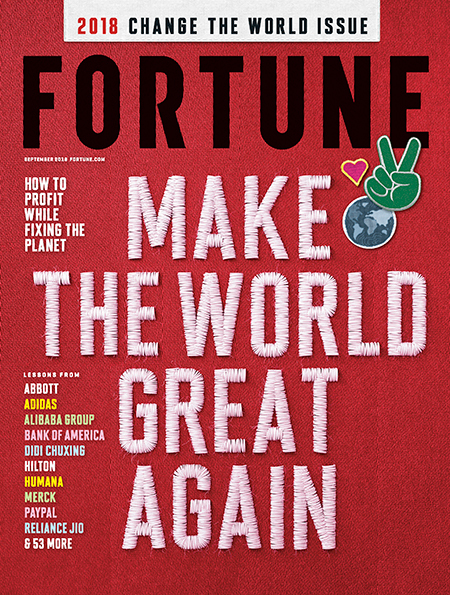 Today Fortune magazine announced its "Change the World" list, recognizing companies that are delivering shared value by making an important social or environmental impact through their core business strategy and operations. Fortune included Abbott on the list of leading companies, highlighting our work to help dairy farmers through a nutrition supply chain initiative. Working in partnership with India supplier Prabhat Dairy and TechnoServe, a non-profit organization focused on business solutions to poverty, Abbott reached 1,500 smallholder dairy farmers, providing them with the training and resources needed to increase their incomes, while providing the high-quality milk that Abbott's nutrition business needs. The program results for participating farmers have been dramatic. Their production nearly doubled, and the milk had higher levels of protein, vitamins, minerals and fat — all key measures of high-quality milk. As a result, the farmers' income is more than double that of nonparticipants, while their costs have remained the same. The program has been a resounding success. Our partner Prabhat plans to scale up the program to reach many more farmers, providing real value to our nutrition business and the families who depend on our products in India. This honor from Fortune is yet another example of how Abbott’s shared value approach helps people around the world live their best lives. To learn more, see Fortune's profile of Abbott, read our most recent story on the dairy initiative, and see an additional story here. And for more information on Abbott's broader shared value work, see our recent story on how our rapid diagnostics technologies are making a difference in Africa.